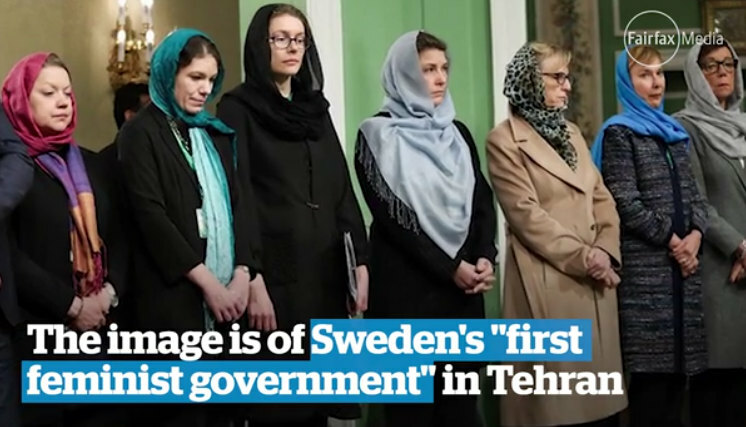 There are some striking photos in the news today and yesterday, showing Swedish political leaders - among them, self-avowed feminists - bowing their heads to men, the females donning hijabs and head scarves and generally conveying a sense of deep deference to the Islamist regime ruling Iran with an iron fist - a posture rarely seen in international affairs or among people espousing the views that the Swedes claim to hold dear. 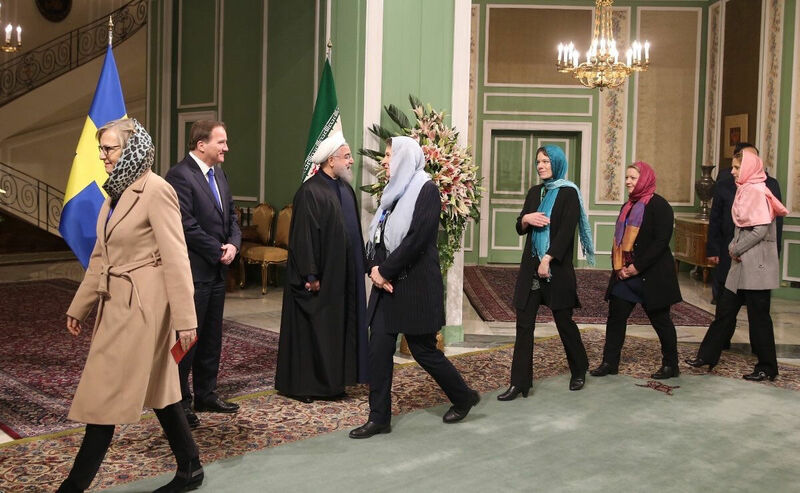 Sweden's prime minister Stefan Löfven led the visiting delegation, and has come under angry criticism from opposition politicians and female rights among others. 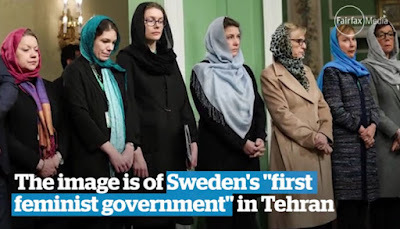 called hypocritical for wearing the hijab in Tehran"
The Swedes must have had the case of Dr. Ahmadreza Djalali on their minds while in Tehran. He's an academic physician born in Iran who has taught at universities in Belgium, Italy and Sweden. His field is disaster medicine and he traveled to Iran in April 2016 to take part in a professional conference. With no warning and without any warrant, Iranian Ministry of Intelligence officials arrested him there and charged him with “collaboration with enemy states”. 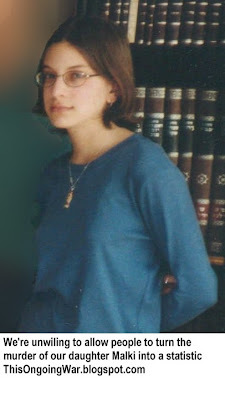 The New York Times reported earlier this week [click] that he is being held in Tehran’s notorious Evin Prison and faces the death penalty. Djalali's wife and two children live in Stockholm so the case has a higher profile there than in the countries where most of this blog's readers live. 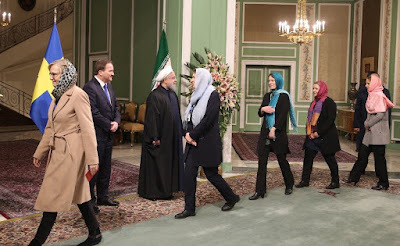 His wife is surely wondering what, if anything, those Swedish feminists did that was helpful to his cause during their well-publicized visit with the Mullahs. We were unable to find any reference to it in the media reports of the "feminist: visit to Iran, but we may have missed it. 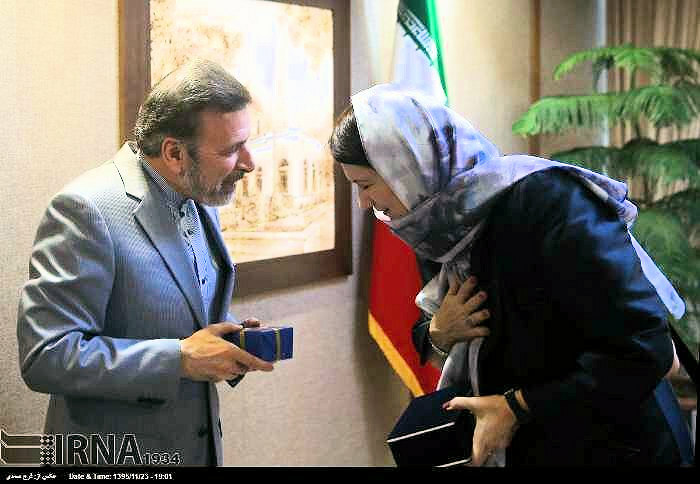 For the past year, there's been a serious rush of vendor delegations from Europe, Asia and North America visiting, and showing extreme deference to, the Iranian regime along with an impressive flow of cross-border business deals with the Iranians [click here for a Google search results listing]. No doubt that this is a happy time for the people in charge of Iran. Iran’s hard-line Islamic regime has escalated its overseas terrorist operations, establishing a network of over a dozen internal training camps for foreign fighters, the regime’s largest resistance group said at a press conference on Tuesday in Washington. The National Council of Resistance of Iran issued its intelligence report specifying the camps’ locations and the countries represented... The council’s largest member is the People’s Mujahedeen of Iran (MEK). It boasts an extensive spy network inside the mullah-run government, including the all-powerful Islamic Revolutionary Guard Corps and its special forces wing, the Quds force, and has a track record of exposing clandestine parts of the Iranian national security apparatus. The U.S. calls Iran the world’s No. 1 state sponsor of terrorism. 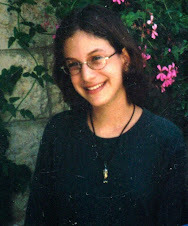 However, neither the Islamic Revolutionary Guard Corps nor the Quds force is on the State Department’s list of designated terrorist organizations. The Treasury Department in 2007 designated the Quds force as a material supporter of terrorism, but National Council of Resistance of Iran officials say the U.S. government should go much further. What skills can aspiring jihadists acquire under the Iranian auspices? In the interests of fairness, we will point out that Iran does have its fans, and the Iranians don't necessarily see themselves as being the bad guys or in any great trouble. You can get a sense of that deep Persian self-appreciation from published pieces like "World owes Iran debt of gratitude for sacrifices in fight against terror" [PressTV, February 13, 2017] and "Lavrov: Exclusion of Iran from anti-terror coalition is a mistake" [Tehran Times, February 12, 2017]. "If America imagines that threats and sanctions will lead Iran to stop its missile program, this is a misconception, a mere fantasy... America is not strong enough to bring us to our knees... Mr. Trump is fickle and changes his policies every other day... Running a country like America is not an easy thing. All of Trump's predecessors faced similar problems. The most important things is that he has failed, especially with us in Iran. Mr. Trump does not possess special qualifications that would enable him to claim that he wants to take over the world. His policies are immature and have led him to a confrontation with the whole world"
We think they're good at that sort of thing too.